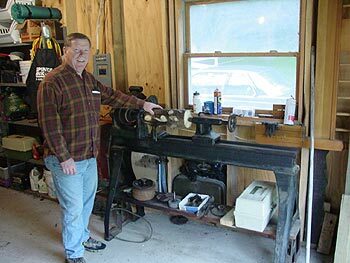 Pete purchased an old wood lathe in 2004. 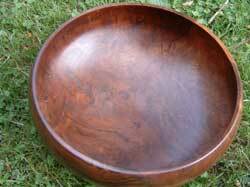 He wants to become as skilled as his Uncle Bud when it comes to turning bowls. He has turned the supports for our bird house and is practising on bowls, eggs, and anything else he can think of. 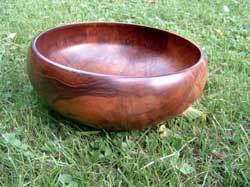 This bowl Uncle Bud turned at age 84!